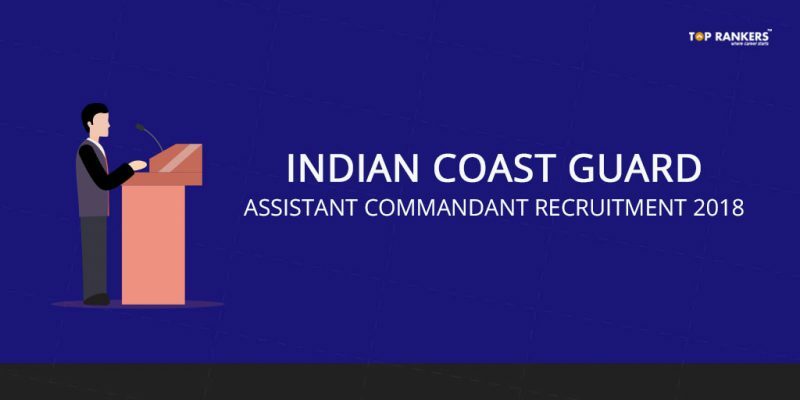 Indian Coast Guard Recruitment Assistant Commandant is released – Check eligibility criteria, how to apply online, and other details. The Ministry Of Defense Recruitment has started recruitment for the year 2018. It has released the notification for the post of Indian Coast Guard Recruitment Assistant Commandant 2018 (Group A Gazetted Officer). This is one of the prestigious job among youths. If you are interested to join Indian Coast Guard, you can apply online from 19th May 2018 to 1st June 2018. This is one of the dynamic and challenging career to serve in the Defense Ministry of India as the Indian Coast Guard Assistant Commandant. Read on to get all the important details related to official notification. You must possess a bachelors degree with aggregate 60 % marks & also an aggregate of 60 % in Maths, Physics on Class 10+2. Class 12th pass with 60 % aggregate (Physics & Mathematics). Must have valid Commercial Pilot Entry License. Direct link to apply will be available from 19th May 2018. First of all, visit the official website of Indian Coast Guard. After that, click on Opportunities tab. Before proceeding, read the instructions carefully. Also, you have to upload scanned copies of your passport size photograph and signature. On successful submission, you will get a unique Registration ID and password. Save it carefully. Note – For now only the official notification is out. Direct link to apply will be updated as soon as it is available in official site. Please print two copies of the admit card with passport size photograph affixed. You must also carry photocopies of your educational qualification certificates, caste certificate, and NCC certificate. Also, note that you can apply one to only one post. There will be stages of selection process for the post of Indian Coast Guard Assistant Commandant Post. In the preliminary stage, you have to undergo a Mental Ability Test/Cognitive Aptitude Test and Picture Perception & Discussion Test. If you qualify the first stage, you will be called for the final selection test. Here, you have to sit for a Psychological Task, Group Task, and Interview (Personality Test). 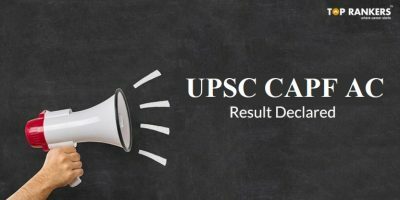 So, tell us, did you find our post on Indian Coast Guard Recruitment 2018 – Assistant Commandant helpful? Then, keep visiting us regularly for more recruitment updates. Jharkhand High Court Notification 2018 | JHC Recruitment – Apply Now!